The NEW Schenker Smart 30 Basic is the Schenker entry level watermaker. 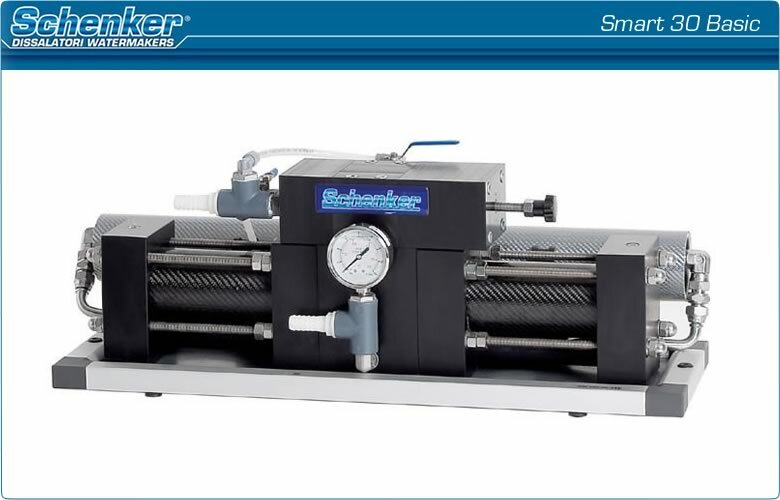 The unit comes with a control panel, Electrovalve & Carbon filter unit. This allows the watermaker to be flushed with fresh water from the vessel's watertank at the flick of a switch. 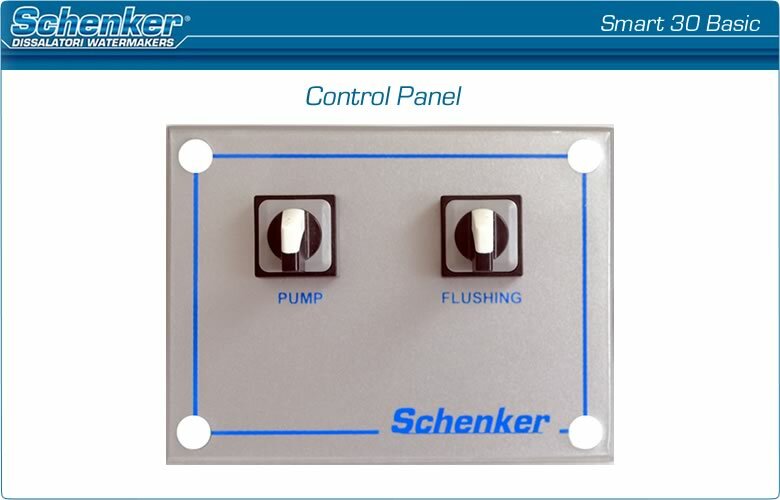 This is an improvement to the previous Smart 30 model where the flushing system was sold as an extra and the installer had to provide their own switch panel. The cost of the Smart 30 Basic now includes all of the above including feed pump with prefilter & Mesh filter, Check valve, hoses & fixing kit all included in the price.